Shane Byrne’s Ducati one week, Bruce Anstey’s MotoGP inspired Honda RC213V-S the next – Peter Crawford discovered what it was like to ride the 1960s and 70s equivalents while chatting to Ray Knight, one of motorcycling’s true firsts. “It all started when I met Barry Ryason, the first editor I came across. He was racing with his son down at Thruxton and we met in the paddock, got talking about this and that and I mentioned I wrote bits for the Royal Enfield Club magazine – I was racing an Enfield Super Meteor at the time. 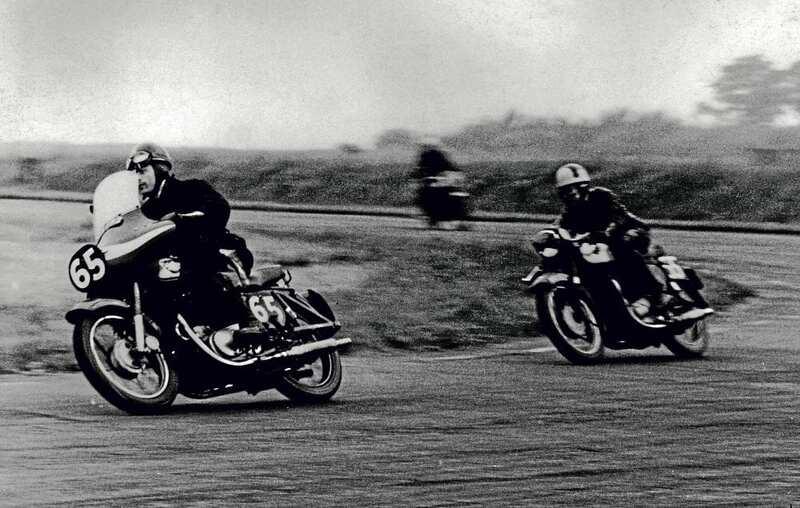 Learning the hard way at the MCC Silverstone meeting in 1958. The rebuild was the result of an accident on the Isle of Man, once called Ray’s second home but by this time his first – Ray and wife Yvonne moving in 1993 to take up permanent residence. With 17 replicas, 84 races on the Island and nearly 40 finishes under his belt – including the full podium collection of a first, second and a third – things had gone well up until the accident. “I was leading the National 600s Supersport class, through the Killane section, on the road course, and in front of multiple TT winner Dave Leach at the time – I still cannot remember the lap preceding the ‘big crash’. But it went something like this, as I later recorded from my hospital bed: The world had stopped revolving, time seemed to freeze; then as I heard the patter of running feet, normality started to return and I knew I hadn’t got away with this one. Previous Post:Welcome: How much, then? Next Post:“Here come Mike’s bikes”: A world champion within four seasons!